I am a huge fan of Odylique by Essential Care as a brand. They have one of the UK’s largest ranges of certified organic skin care and their products are hand-made and free from parabens, phthalates, artificial fragrance, petroleum, mineral oil, glycols, sulphates and all other potentially toxic chemicals. 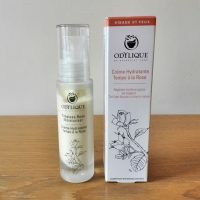 Odylique products are especially suitable for sensitive skin and they are also suitable for vegetarians – their whole range is made entirely without animal ingredients, has never been tested on animals and is made without cruelty to animals. From all the Odylique products, so far I have tried their Superfruit Concentrate, Timeless Rose Moisturiser and Natural Sun Screen SPF30. I have also managed to test their Organic Eye Liner. All of these products that I tested were great so I wanted to try more and see whether the rest of the range is equally impressive. 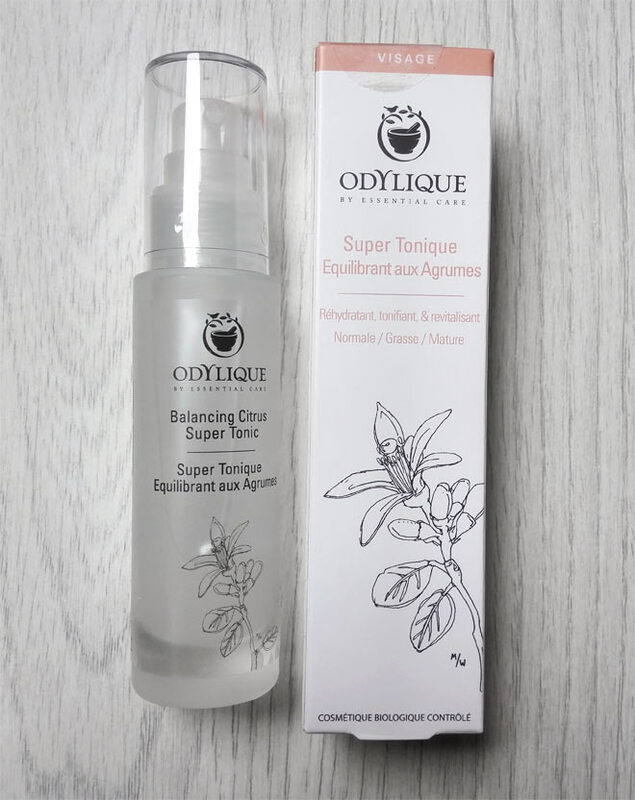 So in the past month I’ve been testing Odylique Balancing Citrus Super Tonic*. I was really keen to see how this extra-strength tonic performs on my combination skin. This Odylique toner contains sebum-balancing citrus fruit oils and soothing and regenerating rose. It’s suitable for normal, oily and combination skin (including mature types). To use it, you lightly mist skin to fragrantly refresh, soothe and hydrate anytime, anywhere. However, I’ve been using it slightly differently as that’s how I normally use toners – I spray it onto a cotton pad and gently go with it over my face. I prefer using it this way as it removes any last residue of dirt and makeup after cleansing and makes skin ready for facial oil or moisturiser. But just to mention that this is a multi-functional skin care item and it’s great for warmer weather when you can use it to refresh and even moisturise your face. The scent of this toner is really lovely – it’s floral and citrusy at the same time and kind of soothing, it’s not overpowering at all. First, I can smell the rose followed by the background citrus note. Really lovely scent! Get 15% off this toner, click here. What sets this toner apart from other similar products is that it hasn’t been diluted with water – it only contains concentrated distillation rose petal hydrolat, fortified with a blend of uplifting fragrant essential oils. In this organic toner you will also find alcohol which may be bad news for some. It’s actually sugar cane alcohol but it hasn’t given me any issues and certainly has not made my skin dry. I personally don’t see it as an issue ingredient as it doesn’t affect my skin. In fact, my skin always felt so nice, refreshed and soothed after the application, it felt lovely to the touch as well. In terms of negatives, I would just say that the bottle this toner comes in is pretty small (50ml) and didn’t last me for very long so I just wish they would make it bigger! All in all, this is a lovely organic toner, great for those who love facial spritz which smells great. As it contains sebum-balancing citrus fruit oils, it’s especially suitable for oily/combination skin. Also to highlight as an ingredient is a soothing rose water which will help reduce skin redness and regenerate the skin. If you like the sound of this product you can get it on LoveLula with a discount of 15% together with a free gift (first orders only). 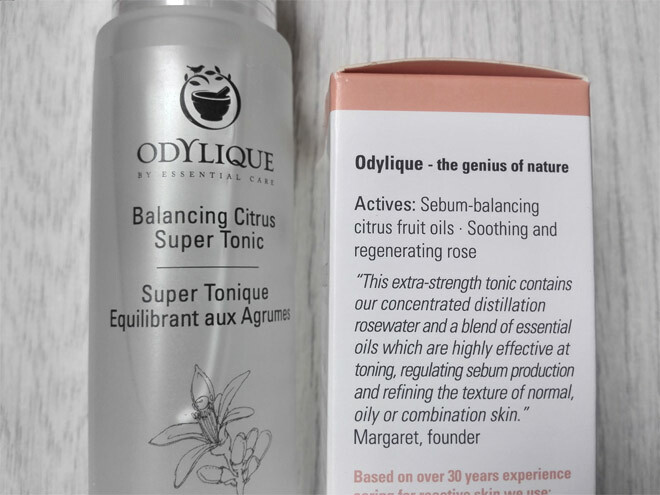 What do you think of Odylique Balancing Citrus Super Tonic, would you give it a go? This post contains affiliate links – if you purchase a product after clicking on a link I will get a small commission which helps me run this website. I tried this tonic it is very nice and very helpful. Good to hear you also like this toner.